For example, an investment with a 6 percent compound annual rate of return will take 12 years to double in value. Note: It is important to enter the rate of return as a whole number (i.e., 6) rather than as a decimal (.06). For example, if you want to estimate the annual rate of return needed to double your money in 9 years you simply divide 72 by 9. 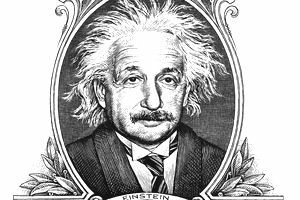 Albert Einstein described compound interest as “the most powerful force in the universe”. This statement especially rings true when it comes to financial planning! In the most simple of terms, compounding interest means earning interest on interest. This means that each and every time interest is paid, it is paid on an increasingly larger and larger balance. Here is a straightforward example. Earning 5% interest on $1,000 would result in $50 of interest per year. But with compound interest, it would be $50 the first year, $52.50 the second year (5% of $1,050), $55.13 the third year (5% of $1,102.50), etc. There are three main components that impact the power of compound interest: interest rate, how frequently it is to be compounded (monthly, quarterly, annually, etc. ), and how long the account is allowed to compound. Time is one of the most important factors because it allows you to produce serious earnings accumulations with relatively small investments. You’ve likely heard the phrase that “time is money”. With compounding interest the more time you have on your side and the higher average annual rate of returns will result in greater retirement savings. How Long Might it Take to Double Your Money? The Rule of 72 is a simple concept that lets you do some quick calculations on the fly to estimate future investment earnings. By definition, the rule of 72 helps you determine how long it will take to double your money if you assume a specific rate of return on your investment. Just divide 72 by the interest rate, and the answer is the number of years it will take your money to double. At 8%, it will take nine years to double your money. At 10% it’s 7.2 years. You can also use this rule to help figure out what rate of return you would essentially need to earn to double your money within a specific time frame. For example, if your future financial life goals require you to double your money in 10 years, just divide 72 by 10 to find that you must earn 7.2% to reach your goal. How Does the Rule of 72 Fit Into Your Retirement Planning? The calculation of compounding investment returns can be difficult unless you have a calculator readily available and the knowledge of how to use it. The Rule of 72 is a straightforward mathematical equation to help us complete some quick calculations on the go. However, the most useful application of the Rule of 72 is related to its ability to teach investors the importance of compounding interest. Taking the time to see how various investment strategies fit specific goals should always be based on your time horizon for meeting those goals and risk tolerance. If you have selected a safe and secure guaranteed interest option or stable value fund in your 401(k) plan that is currently earning 3% interest it will take 24 years for your money to double (72 divided by 3 = 24). This may make sense for conservative investors at or near retirement but would require younger investors to save significantly more money to reach future retirement goals. If your retirement assets are invested in more moderate asset allocation mutual funds earning an average of 6 percent a year, it would take approximately 12 years for that same investment to double (72 divided by 6 = 12). The Rule of 72 is a simple calculation to help you estimate how long it will take to double your money. Perhaps the Rule of 72’s most important contribution to the retirement planning discussion is how important it is to use compounding interest to your advantage. It is necessary to start saving for retirement as early as possible. But it is also important to make sure your investments match your time horizon and comfort for investment risk. Similar to how taking on too much risk as you approach retirement isn’t wise. Being too conservative earlier in your career can also have negative consequences and require you to set aside much more to reach retirement goals. If you are comparing the difference between various asset allocation strategies that will help you reach your financial goals, check out this useful illustration. Also, keep in mind that one of the biggest things you can do to increase the chances you will reach important financial goals like retirement is to have a written plan and saving strategies in place. This simple Saving for Goals calculator can help you figure out how much you need to save to reach your goals.